Focal Digital Camera Guide for the Sony A200 - There is nothing like a clearly written and comprehensive guide to a camera. 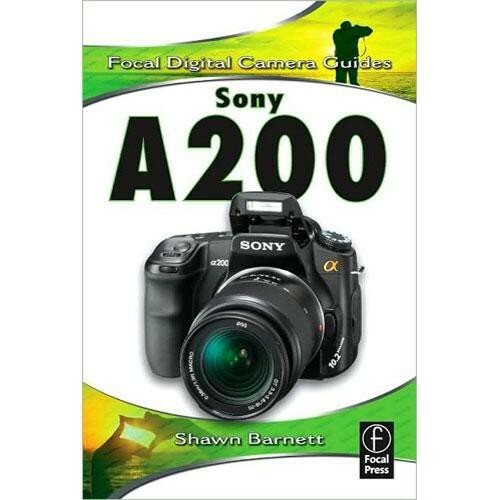 Here, in this in-depth volume, you'll find everything you need to know about the Sony A200. Actually, it's more than an overview. In addition to basic information about the workings of the camera, you'll find detailed info on making great images. As a bonus, you'll find lots of data on "software" and how it applies to the camera - how to use "Raw", storing images, and back-up strategies. Dotted with full-color examples, the book details how all settings affect your images. For those of you who don't like reading in-depth guides, use the quick start guide which will get you started with the camera in very little time. Box Dimensions (LxWxH) 8.9 x 5.9 x 0.5"